Misalliance, The dark lady of the Sonnets, and Fanny's first play. : With a treatise on Parents and children. 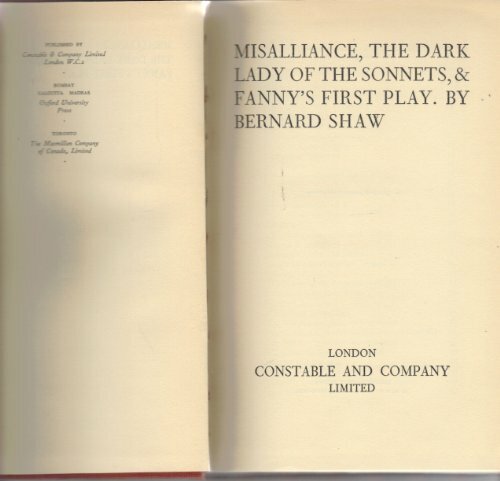 Misalliance, the Dark Lady of the Sonnets, & Fannys First Play was written by Bernard Shaw. 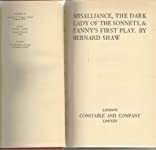 Misalliance, the Dark Lady of the Sonnets, & Fannys First Play was published by Constable and Company Ltd.